Buongiorno. It's taken me a few months, but I finally finished the swim to Italy. Long swim! 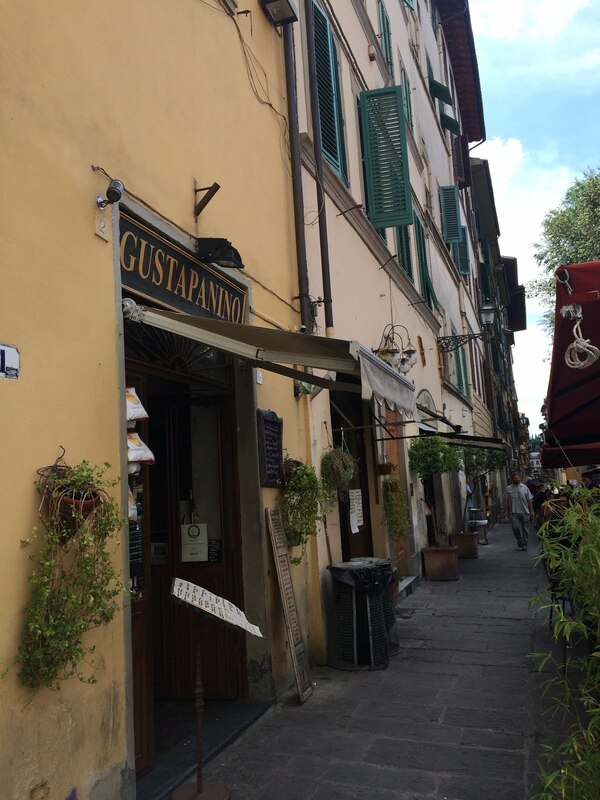 Thanks to young, American co-eds abroad, Subs and Stuff received a tip to hit Gustapanino in Firenze, Italy. Siblings with Gustapizza, this panini shop has multiple, freshly sliced panini, which are of the same high quality as the pizzas around the corner. Each panino is served on a butcher block with a handful of greens served on the side. 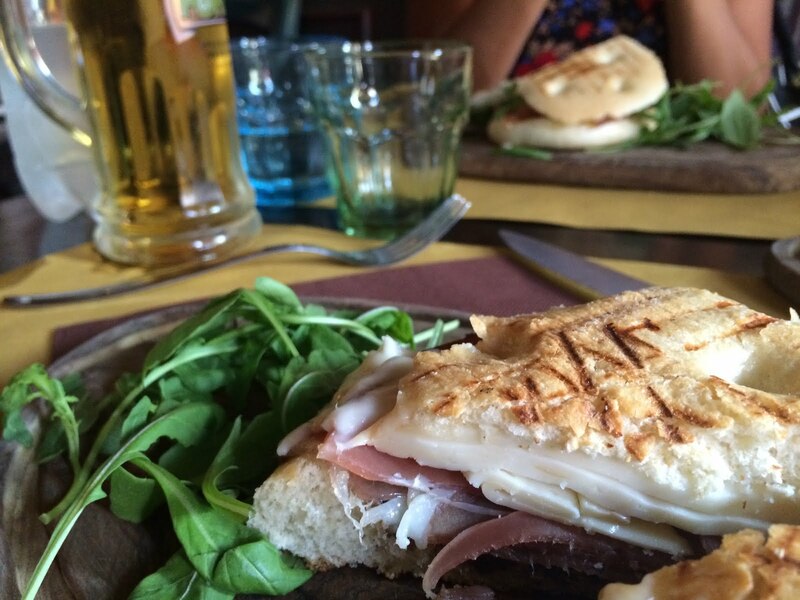 With many to choose from, the first on the list was a cotto panino with fontina cheese for €3,00. Check the official, one-bite review below. Served on a soft, lightly toasted, panino roll, the sandwich is simple. Thinly sliced cotto, heaps of fontina with a delightful bread. At €3,00, the price seems low, but the sandwich is small. Like a number of panini in the mouther country, the meat star of the sandwich stands alone, and the selection is slim. As the panino was small, the ratio was on point, but I needed two or three to feel satisfied. Daddy hungry.